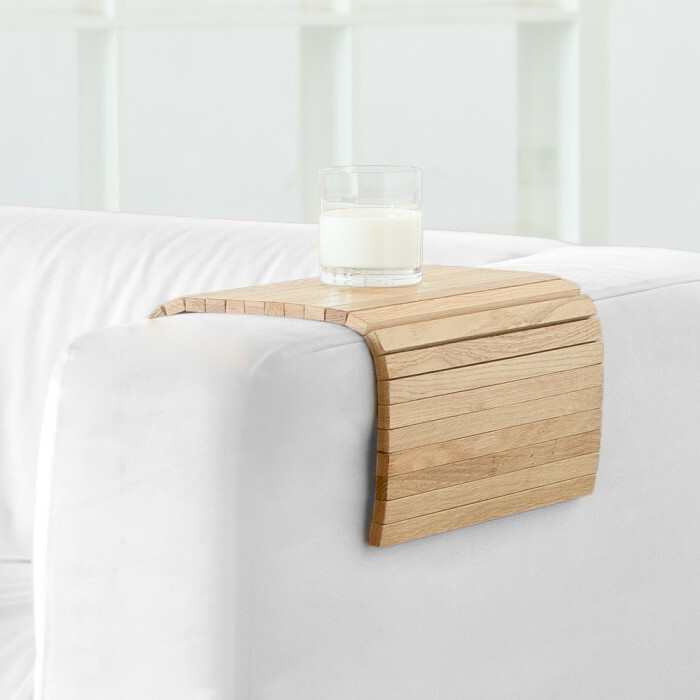 The DETRAY is an attractive and functional tray which takes the shape of unstable or odd shaped surfaces, such arm of your sofa, and turns them into stable, useful spaces. Leave a cup, glass or laptop without fear of spilling a drink or dropping your laptop. 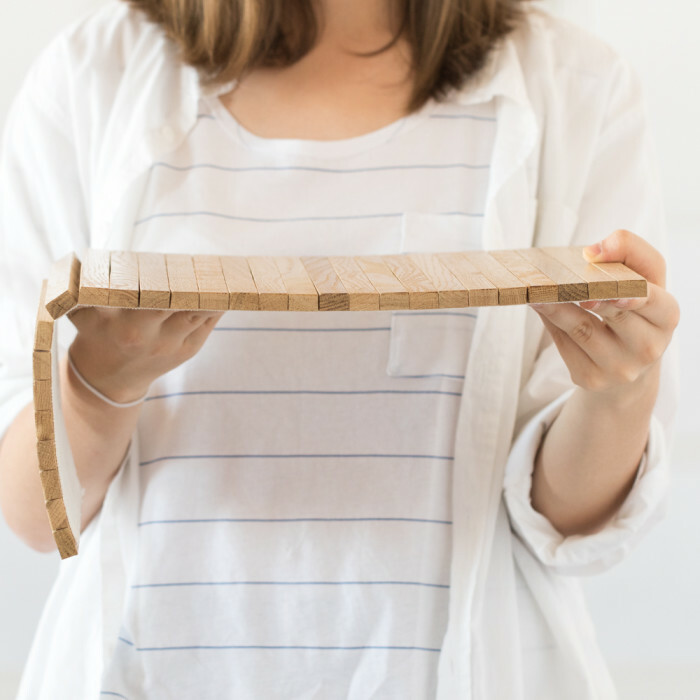 The DETRAY is made from hardwood Oak strips bound by fabric. This flexibility allows it to adapt to the shape of your sofa or chair arm, whatever its size. The sofa tray comes in natural, white, black, pink, grey, yellow, turquoise or baby blue finishes.